One ingredient I connect with warm Autumny days is butter. 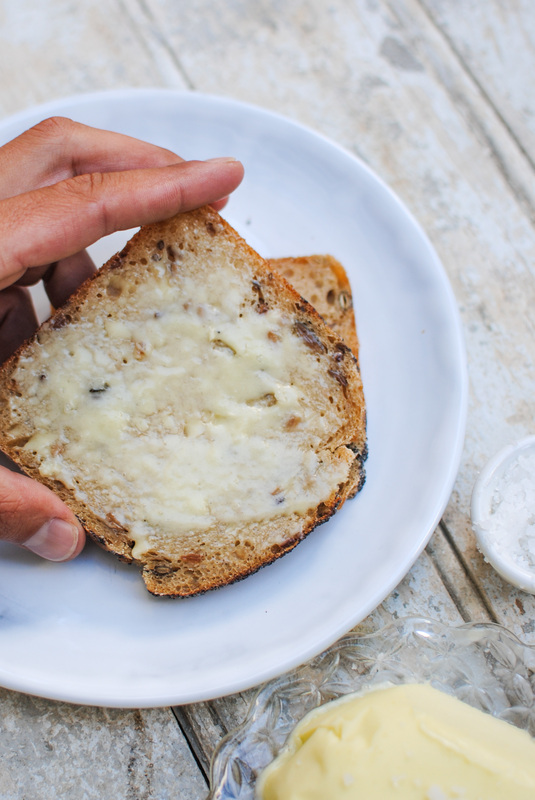 Smothered on freshly made toast, used to sautée some mushrooms or to finish a dish for added creaminess and richness. YUM! It is something I don’t have as much of these days, so I want to share with you an easy replacement for it, especially for toast, that everyone will love and ask you for the recipe. The Olive Oil Butter. Olive Oil Cornbread | my take on the traditional cornbread with the special taste of this comforting olive tree nectar. This butter really shows out the olive oil you make it with, so make sure you use a good quality, cold-pressed, organic Olive Oil. You can then flavour the butter to your own likings. Lemon zest and fresh chili is a favourite of mine, parsley and lime is also a great combo, chopped olives, and dried tomato is perfect for an appetizer’s board. Well, you know, the sky is the limit. Curry, miso, radishes, etc. 2. Add any flavourings of your choice, if using. 3. Place the mix in a parchment paper lined bowl and refrigerate for, at least, 3-4 hours. 4. Remove from the fridge just before serving, unmold from the bowl and decorate for a fancier look! Enjoy. Uauuu!!! Desconhecia!! Fantástica! Quero experimentar querida Joana, que partilha perfeita.